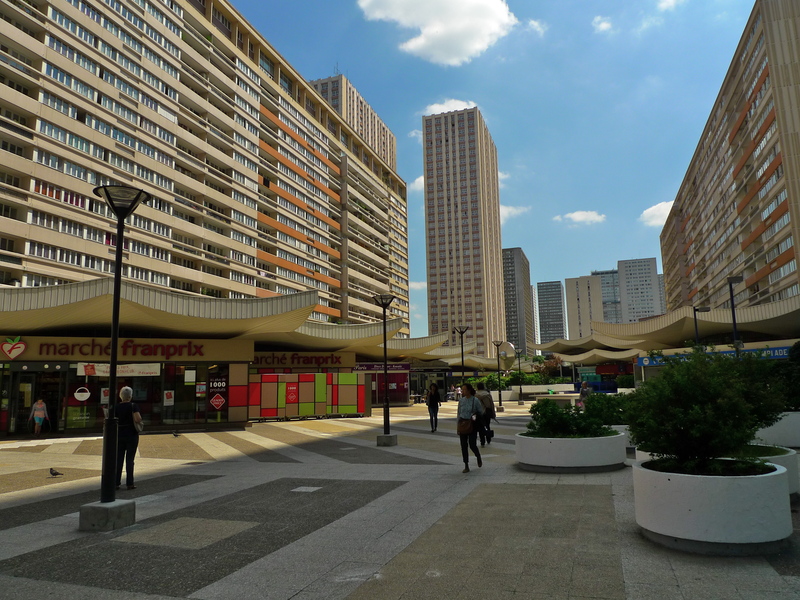 BUILT IN THE EARLY 1970’s, Les Olympiades is a housing complex in the 13th arrondissement comprising a dozen tower blocks built around a pedestrianised esplanade elevated some eight metres above street level. 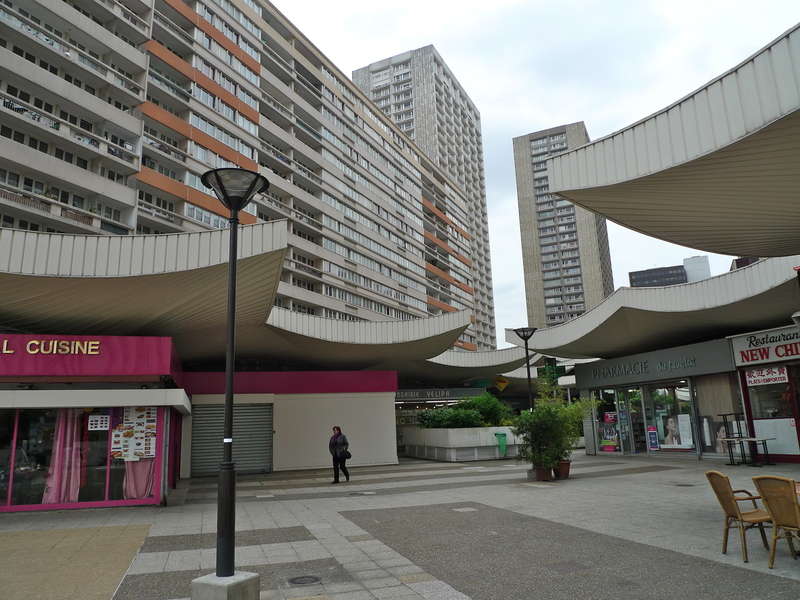 The Olympiades complex was originally part of a much bigger but never completed urban development project known as Italie XIII, a planned re-designing of the 13th arrondissement. The name, Olympiades, comes from the fact that the eight tallest towers in the complex are named after cities that have hosted the Olympic Games – Anvers (Antwerp), Athènes (Athens), Cortina, Helsinki, Londres (London), Mexico, Sapporo, and Tokyo. 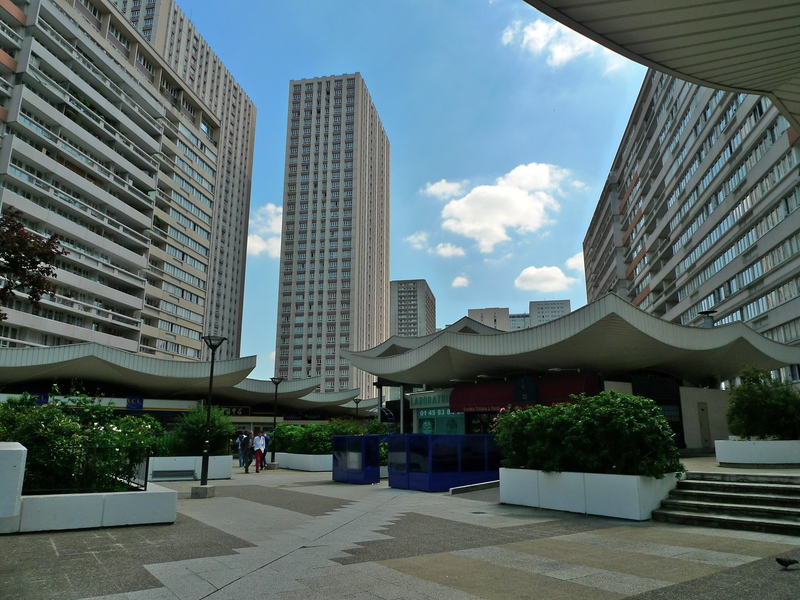 Overseen by the chief architect, Michel Holley, Les Olympiades was built on the principle of vertical zoning. The ground level is a functional level built under the esplanade and consequently more or less invisible. It is dedicated mostly to car parking and delivery bays. The next level, the esplanade, is dedicated to pedestrians, shops and the main entrances to the tower blocks, while the final level comprises the apartments themselves rising to some 104 metres (341 feet). 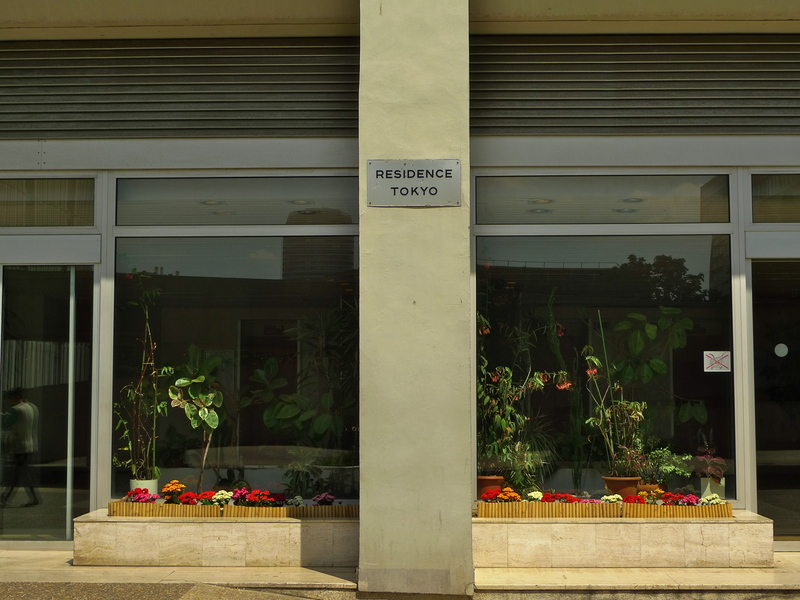 The apartment blocks run in a more or less north-south axis, the southern end of which is home to a large Vietnamese and Chinese community. 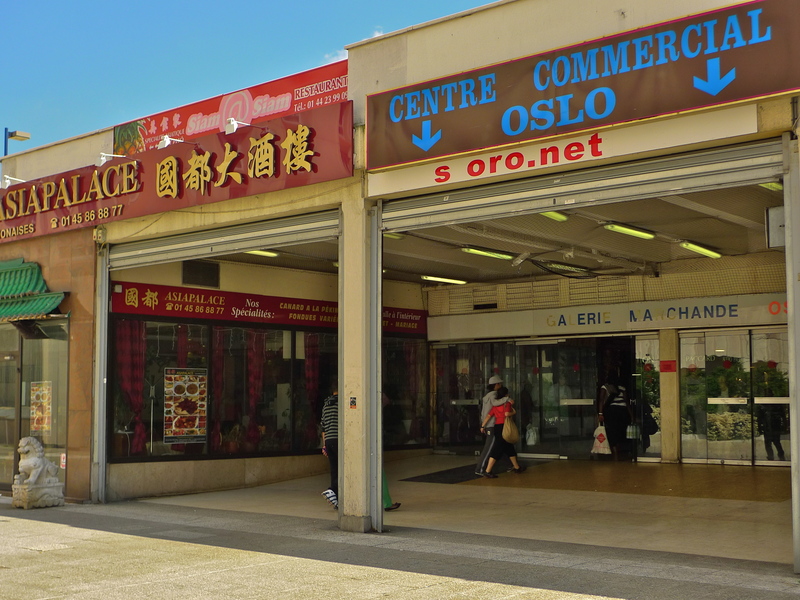 At the heart of this community is the Centre Commercial Oslo, a shopping centre whose name bears no relation at all to the shops, the goods on sale or most of the customers who frequent this place. In keeping with the names of other buildings in the Olympiades complex, the name Oslo was chosen for this shopping centre simply because Oslo was yet another Olympic city. On my perambulations around Paris I’ve visited Les Olympiades several times and whilst vast urban complexes like this are not much to my liking (my time spent in Moscow is testament to that), Les Olympiades is not an unpleasant place. 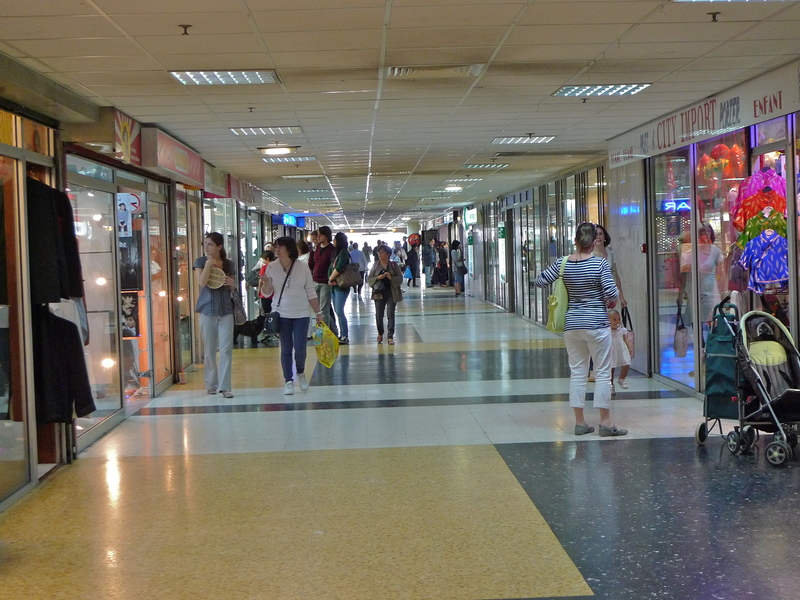 In the daytime people stroll around the esplanade, sit outside cafés or visit the shops or restaurants. 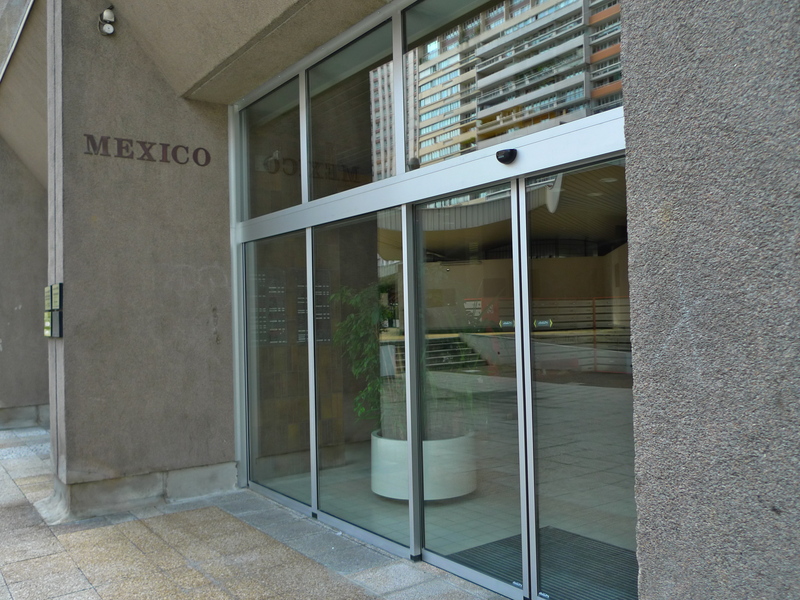 But, like that other area of Paris, La Défense, which I know particularly well and which was at least in part a model for Les Olympiades, I imagine that the night time environment might be very different.